This is a classically styled glass mug which is perfect for everyday use. 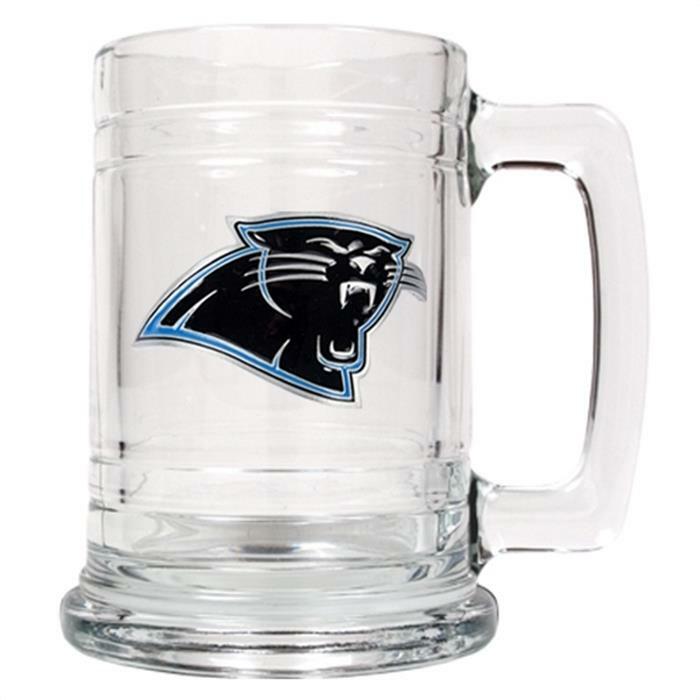 The glass mug is 5.5” tall and decorated with a high-quality metal Carolina Panthers logo. This glass mug is available for all NFL teams, MLB, NBA, NHL® , and over 90 major college teams.